Campbell, Donald. 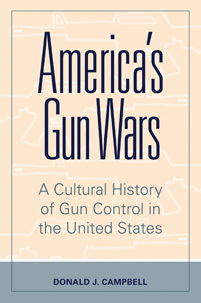 America's Gun Wars: A Cultural History of Gun Control in the United States. Praeger, 2019. ABC-CLIO, publisher.abc-clio.com/9781440870309.